﻿ Video: Would you buy this augmented reality helmet by Sena? 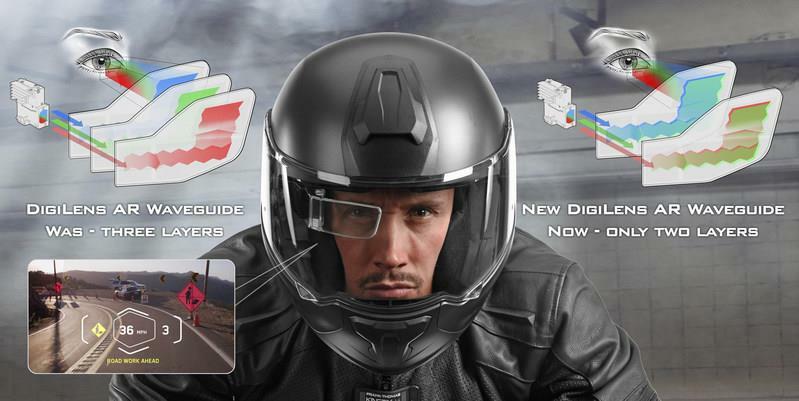 Sena have announced a new partnership with Digilens, which could mean a large improvement in head-up display (HUD) technology for bikers. The Silicon Valley-based company, who specialise in making small screens for augmented reality (AR) devices, say their latest effort, the MonoHUD is thinner, lighter and cheaper than its predecessors. Sena is working with Young Optics to integrate the new DigiLens display and its communication system into helmets to allow riders to view their phone and dash information through the display. A HUD for the future? Although HUD tech for bikers is nothing new, the announcement could mean a big step forward in the affordability, performance, and battery life of devices in the future. What are your thoughts, would you buy a MonoHUD? Would you buy a MonoHUD?